Most prints of Paul Geissler have a value of about 30 - 60 US $. Born June 25, 1881, Erfurt, Germany, where his father was a gardener. Studies drawing under the painter Sondermann. Attends the Arts and Craft School in Erfurt for 4 years. Studies at the Grand-Ducal School of Arts in Weimar, Germany, under Max Thedy, 1903. Receives commissions for paintings from the German Empress and a Russian grand-duke. Gives up painting and specializes on etchings, the art he likes best. Works on large etchings in Paris, 1910-11. Moves to Munich, Germany, 1912. On the board of Association for Original Etchings, in Munich. Travels through Switzerland, Liechtenstein, Belgium, Holland, Austria, France. Moves to Garmisch-Partenkirchen, Germany, 1918. His most productive years are 1920-30. Travels to USA, 1928, returns via Sicily and Italian mainland. In USA, executes beautiful etchings of Independence Hall and the Betsy Ross House in Philadelphia as well as scenes of Yale and Princeton. Appointed professor in Germany, 1943. Several universities offer him a post, but he remains independent. Chairman of the Werdenfelser Kunstlerbund, association of artists in the Garmisch, Germany, area. Died May 30, 1965. Prof. Paul Geissler was born in Erfurt Germany on June 25, 1881. He studied at both the Erfurt Arts and Craft School and the Grand-Ducal School of Arts. He started as a painter, but gave it up at some point to spend more time on etching. He moved and traveled, but in 1943 was appointed prof. Many universities offered him a post but he chose to stay independent. On May 30, 1965 he died. Hi, My name is Anne Palangi. Found this today in a thrift store and bought it for the frame. Decided to Google it when I got home since I saw "original" written on it. Can you tell me any more about this? I have two works that were donated to our church for a rummage sale. The art has the following information posted on the back, can you tell me what they may be worth? Professor Paul Geissler Blumanpaar, Blumenfrauen Original Radierung Thank you for any information you can give. I will try to send you a pic of both. I cannot find any info on this etching by Paul Geissler, can you help me? I would like to sell a Paul Geissler original print. 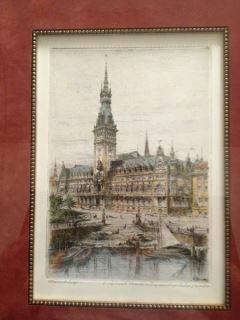 Hello, I have an original etching of Roland in Bremen from prof. Paul Geissler. I am looking for information and value about this original work of art. this paint has a lable from FRANZ LEUWER bremen, please help me about this price. thanks alot. please answer to my question, tanx again. Hello, I have an original etching of Roland in Bremen from Prof. Paul Geissler. I am looking for information and value about this original work of art. This paint has a lable from FRANZ LEUWER Bremen, please help me about this price. Thanks alot. Dear Sir, I have had an etching by Paul Geissler for many years, inherited from my late father, but never paid any attention to the signature, and indeed, for the last 20 years it has been stored away. It is a beautifully rendered etching of "The Rialto" in Venice, Italy (my title for it as I remember my Father saying). I believe he must have acquired it on a visit to Venice in the 1930's. It is about 11 X 7.5 inches. It is signed both in the plate and by pencil, now more faint with age, in the lower right hand corner. Although I have no immediate plans to sell it, could you let me know what you believe it to be worth at this point, 2010? Hello. 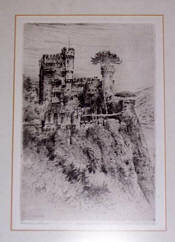 I have the Gemüsemann set of etchings by Prof. Paul Geissler. The set pictures an older man with a white mustache smoking a pipe and looking down at a pile of vegetables...+ and an old woman. My set contains has the word "original." but due to the placement of the etching over another line of writing, I cannot see the date. We purchased ours at a garage sale in Collingwood Ontario Canada and live in the US. Thank you for any help you might be able to provide. Hello, I am wondering if you could please tell me anything about the attached pictures. Hi, I have just acquired an etching my Paul Geissler. It looks like someone has had it for a few years. I am pretty sure it is a cathedral. Paul Geissler signature is on the lower right which is underlined, and underneath is Milano, which is in the etching. In the lower left, outside of etching is the word Mailand. The lower right outside the etching reads, Original, Radierung von Prof Paul Geissler. Can you please tell me if it is an original or just a copy and how much it is valued at. Thankyou. Kind regards, Nancy. Hi, I was hoping you could help me. 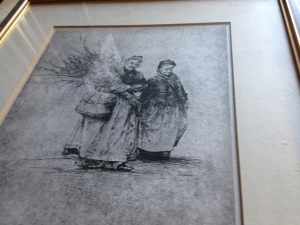 A few years back I received an original signed black and white etching by Paul Geissler from my grandparents. The piece is labeled "Roderbogen- Rothenburg II". And I don't have any knowledge on the topic. So I was hoping you could give me some advice, as far as, the value, where to sell it and so on. If you could I would forever be grateful. 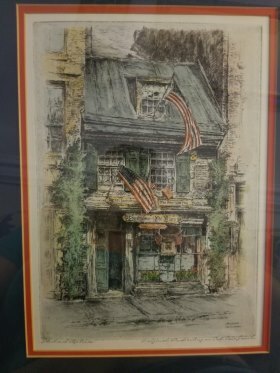 I have a signed and dated color etching by Paul Geissler of Independence Hall in Philadelphia from 1928. Any idea of it's value? Hi, Came across your request for information about Paul Geissler in my search on the internet. I have a few prints dating back to 1920. If you received information about his etcfhings from other sources, I would be glad to know what is known about the value of his work at this time.Thank you. I'm sorry, I don't know much about Paul Geissler; only that I have a painting, which I have recently inherited from my parents after their deaths, that has been in my life for as long as I can remember. It has always been my favorite of all their paintings. Am Plonlein im Rothenburg o.T. von Hugo Paul Geissler. There is an umlaut over the "o" in Plonlein. There is a of a portion of what is in the painting at http://www.moduni.de/product_info.php/products_id/7241323 . Not included in the photo (to the right) is a lower street, another tower with an arch through it and more buildings, four and two partial fronts before the tower. The tower has a "double" roof with a window in the front of the roof and four windows below that, one below the other, down the tower, with the arch below and the street continuing through the arch. Also, before the arch, there is a lantern hanging suspended from a "wire" from the right-most wall of the right-most building in the photo, on the upper street, over the street to one of the buildings on the lower street. 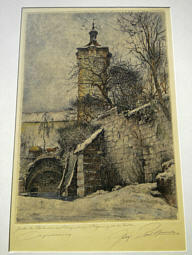 I did find, on Ebay.com, after entering the name Paul Geissler in the search space, an etching of the exact painting, it appears to be a winter scene; mine appears to be more a spring or summer scene. I've been trying to learn something about "Hugo" Paul Geissler and this beautiful piece of art. Any information you could share on this would be very much appreciated. 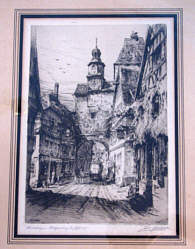 I have a signed original etching, limited edition, titled View Through Arch of Townhall In Muenster. Do you collect these??? I have recently acquired a hand tinted engraving. Signed by the artist on the plate and signed and titled by the artist in pencil on the margin. Elegantly matted and framed. Overall size 12 1/2" wide by 16' high. Excellent condition. The dustpaper on the back of the frame bears the seal of Haley & Steele, Art Dealers, 91 Newbury St., Boston, Mass. I also have one of the Watch tower in Bern. Does anyone know the name of it? I also have one in Rome with the ruins in the background. Would like some information on them. Dear Sir: I have five originally signed etchings (uncolored) by artist Paul Geissler in excellent condition--matted and framed. They were done in the mid-20's of scenes predominantly in Philadelphia, PA USA. They are of Independence Hall, Betsy Ross' house, Carpenter's Hall, Girard Trust Bank, and Ivy Hall at Yale University. I believe they may have been completed at the time of the 150th anniversary of the union of the United States. If you or anyone else is interested in seeing or showing these etchings (which have been in my family for at least 75 years), please let me know. 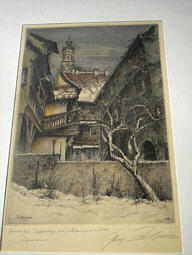 I have a Paul Geissler signed, colored etching of a Rothenburg OT scene that was purchased in Rothenburg OT in 1956. The scene is of the Roeder side street looking toward the Roeder Gate. The most charming feature is the clothing shop in the right fore-front with a men's hats on a hanging rack in front of the shop. There are also rolls of cloth in front of the shop and a cloth cutter in the background. 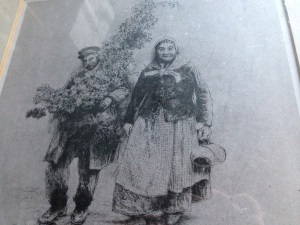 The etching was produced in 1920. Hi! I have a print of Marienplatz in Munich, with the Glockenspiel in the background. 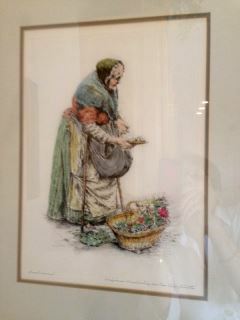 It is a color etching, done in pencil, and signed, "Paul Gessler 1920". It is on ivory paper and the paper is a little over 14 inches wide and a little over 17 inches long. Under the picture on the right side is written "Munchen" and on the left side "original von Prof. Paul Geissler". Could you tell me how much this is worth? Thank you. I have an original etching of a Cathedral by Von Prof. Paul Geissler. On the left corner Mailand is enscribed in pencil, on the right hand corner it is signed by Paul Geissler which is underlined and then Milano is underneath his signature. This must be the location of the cathedral. The etching is so detailed, with carvings of statues and saints, the scale of the people on the street gives the illusion that this cathedral is massive, there are two detailed buildings in the background. I am looking for information and value about this original work of art. I would appreciate being contacted at: ZIPLOIDD777@aol.com . Or search Deborah Shemesh on the Internet. Who would I take it to for appraisal? 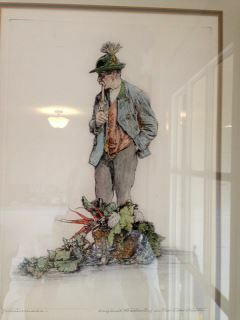 I have come upon a Paul Geissler etcing approx 12 x16. It is framed and preserved in a plastic covering that does not hinder the appearance of the picture. I have unable to determine if the picture is of a castle or a cathedral. I am looking to see about the value of this particular etching. I have been unable to locate it anyway on the net. The etching is dated 1922 and the word original is written in the left hand cover by the date. There is other written right off of the date but is it hard to read due to penmanship. Over in the right cover is clearly Paul Geissler. Can you help me any of my questions? My grandfather Theodore V. Geissler visited Paul Geissler's studio in Germany in the 1964-5 range. Paul was ill and not able to see any one. My grandfather born 1890 was positive his grandfather Karl/Charles/Chas Daniel Geissler was part of the same family as the artist. Could you send me some info in this German Artist Paul Geissler. Specifically on the etching Gemusemann and the matching etching of an elderly women. I have 8 etchings of Paul Geissler, 3 are dated in the 1920's, all say original renderings by Von Professor Paul Geissler, they are mostly street scenes or churches, ranging from Hamburg, Paris, Venice, Munich, Nuremberg, Rome, absolutely beautiful , and I would like to know approximately what they are worth. and/or where I can sell them. They are preserved in a mat like folder with tissue paper over the image, signed in the image and also in the margin, in pencil. Looks to be in the original packaging ,they are in great shape, paper is getting to be a little discolored but not much. always stored.